Books about Yugoslavian armor are always interesting, because Yugoslavia used a wide range of different armored vehicles with different origins.There are only a few titles in English about the JNA (Jugoslavenska Narodna Armija) meaning Yugoslavian People's Army. Most of the available ones (in English) are not that accurate.This book is quite the opposite. When I saw who's the author I knew this is going to be good and accurate. For those of you that don't know, Bojan Dimitrijevic is the author of many JNA books, most of them in Serbo/Croatian language. I have few of them and as far as I know they are the most useful and nice ones. Pictures are always very good and show different perspectives which helps modelers a lot. Tankograd is one of the most active Armor books publication and they release few titles every month. Their books are very useful for modelers since they give a good overview on a certain tank or Army. They have released a variety of titles, with many interesting subjects which no one else publishes. This book is like a small photo album, but with lots of information and history. I usually start my reviews with some historical facts and info ,since this is a book review I shall quote some info from the book. „Few armies field an armored corps with such a turbulent history and such an unusual motor pool as the Yugoslav Armies since World War II. While the early years were dominated by captured Wermacht vehicles and supplies by the allies, the 1950's saw major influence by the American side. In the 1960's a change of policy saw the introduction of Soviet and Warsaw Pact material, before in the 1970's domestic production mostly took over. While the many other books focus on the Civil War on the Balkans in the 1990's,this publication shows for the first time the variety of Yugoslav and Serbian armor covering more than sixty years of history with many hitherto unpublished photos." NOTE: The images were purposely scanned with a low resolution for the purpose of the review and the ones in the book are perfectly clear. After the end of WWII Yugoslavia obtained lots of „war booty“, unfortunately there aren't any archives or documentation regarding the numbers or types. In early 1946, Soviet forces provided JNA with equipment for the 2nd Armor Brigade. 1946-1951 JNA donated many different types of tanks to Israel, Albania and Bulgaria. By then, 6 tank divisions were already created. After the normalization of relations between Yugoslavia and USSR, this move led to much colder relations with the West, which reflected the MDAP donations. JNA was in need of a new tank,and made a deal with USSR of ordering SU-76 and T-34 tanks. In late 1979,Yugoslavia obtained a couple of Soviet T-72M tanks with the clear idea of developing its own tank production. During the next 5 years production of different parts was established all over the country, with final assembly taking place at the Djuro Djakovic factory in Slavonski Brod, Croatia. The first M-84's entered the service in 1985. They were basically the T-72M's with further improvements. At the end of 1979,Yugoslavia operated with 5825 vehicles in total. Socialist Yugoslavia disappeared in the civil war that started in late June 1991. The conflict turned into full scale hostilities by autumn of 1991. Armored units were used extensively at all stages of the war. Croatian forces managed to capture a huge amount of vehicles. They also used the M-84 produced in Slavonski Brod. Meanwhile within the Serbian police and state security an armored branch was crated. They were equipped with BOV-VP's, BOV 3 and BRDM 2 vehicles from the VJ. They have also captured some vehicles from the 1995 UNPROFOR operations. 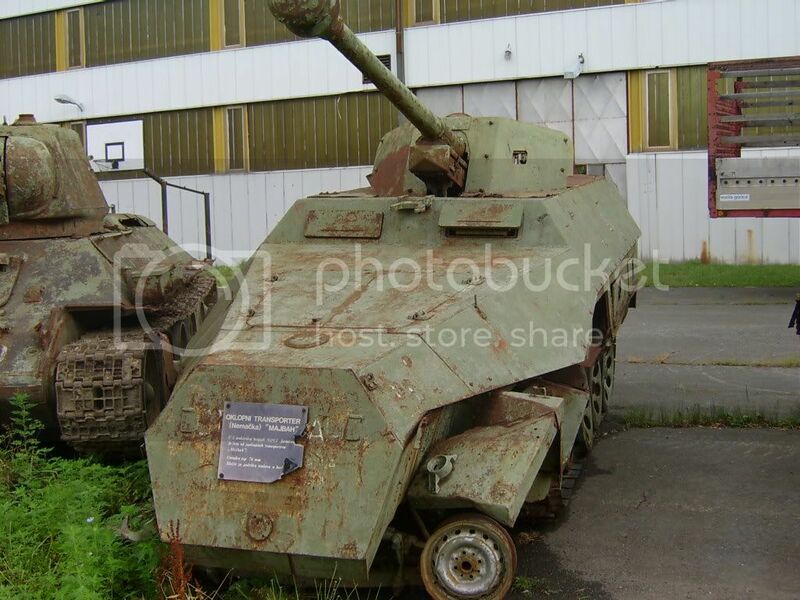 In the 99's during the NATO's attacks on Serbia left many of the MBT's and other vehicles destroyed. Following the democratic changes in Serbia after 2000, a new atmosphere occured in the Yugoslavian army (remained Yugoslavian till 2006, then renamed to Serbian), only four tank and eight mechanized battalions remained.They are equipped with M-84 MBTs and M-80A's. After that section the book is separated into sections with pictures, again by ages. Under every picture there's a brief explanation. Most of this pictures were unpublished before, but I have seen some of the pictures in this publication before (In other Bojan Dimitrijevic books). All pictures are big and useful for modelers since they contain lots of details. I can say that this book if basically an introduction to Yugoslav armies, and I think much more can be written about it and I hope someone will, maybe even Tankograd. This book is also interesting because it covers the most un-researched time period, between the WWII and now. While much more is written about WWII. Here are some other references for the Yugoslavian armies. If you have any further questions don't hesitate to send me a email or PM. You can easily do a research on your own,just Google KoV, JNA or Yugoslavian army and you will get lots of pictures and information (mostly on Croatian/Serbian). My Thanks to Tankograd for the review sample. Highs: Very nice book with many unpublished pictures. Introduction is very well written and easy to read ,this is surely the best KoV book published in English up till now. Lows: This subject could be written in more parts with separate titles, only a picture or two for each tank/type. Verdict: Very well researched book with clear photos. Highly recommended. Copyright ©2019 text by Sven Harjacek [ SHARJACEK ]. All rights reserved. Thank you for getting this up Mario. If you have any additional question ill gladly answer them. Kind regards,Sven. Its on my 'to buy' list too. Great review Sven, its nice to see whats inside before I go and buy it. Sven, there is a StuG on the title page? Which modification was that? btw, anyone has overwies of what is going on with the vehicles at Banja Luka	Muzej Kozara? Thank you all for your replies,im glad you liked my review. Roman > Im not really into that period,but i this is what is says below the picture "Most of the captured Wermacht equipment such as this Stug III with the tactical number 469 entered the 4th tank brigade,formed ad Osek. Ill open my other books today or tomorrow to see if i can post any additional info on that one. Kozara is not really a museum, its is a military barrack.It was opened for public for some time,but now when the Republic of Serbia's military is organized it's not opened for public anymore.Here is a album with some photos from the time it was public. LINK Im pretty sure this is the reason? Kind regards,Sven. Dragoslav,a good friend of mine and myself just had a little chat about this,his more into WWII than me. He says it is G version for sure. It is displayed at the Kalemegdan museum in Serbia,here is a link with a good walkaround of it. LINK HTH,Sven. yes, it is. Because I suspect that it is the same vehicle that I did based on the Panzerwrecks2 pictures. I would like to know what was actually inside this half-track since that was not a factory produced, but a field conversion. I have seen this album previosly and the interior is closed by large sheet of metal on top...Since in the other topic there was information that now the vehicle is undergoing restauration I thought that maybe locals know what is the status now. No problem Roman. I will ask Dragoslav about the restauration of it.Im glad i can help. Kind regards,Sven.